A fairy costume allows children to dress as a character commonly found in old stories of folklore and mythology. In such stories, fairies are described as looking human, but having the ability to fly, cast spells, and perform other types of magical acts. One reason that young children are so familiar with the concept of fairies is that they are often read "fairytales" as bedtime stories. In most fairytales, there is a character that is or resembles a fairy. In these stories meant for children, fairies are often practicing mischief. One of the most famous modern-day fairies is the character Peter Pan (proving that a fairy does not necessarily have to be female). These costumes are not hard to find. They are available in numerous large stores such as Toys R Us, Target, and Wal-Mart. However, they are also offered on some specific and specialized "Fairy" websites on the internet. There are many fairy fans in the world who have dedicated their lives and professions to the creation, advancement, and distribution of fairy costumes. The costumes that are for sale on these websites are often handmade, original, and designed with specific features in mind. Costumes Fairy is a company that makes and sells fairy outfits designed for females of all ages. The company's motto is, "Fairy Costumes with a Touch of Magic. "Many of the costumes available from Costumes Fairy are so beautiful, glittery, and ornate that they can be used as flower girl dresses for a wedding. Also available to go along with the costumes are magic wands, wings, and shoes. Enchanted Costumes specializes in fairy dresses that are beautiful enough to be used as wedding gowns, bridesmaid dresses, and flower girl dresses. They can also be used as costumes or worn for any other sort of special occasion. The wings that match the fairy costumes from Enchanted Costumes are hand-embroidered, which makes them even more unusual. 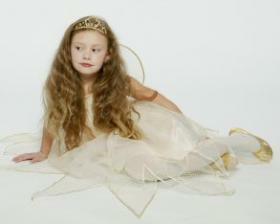 The company can also custom make any type of one-of-a-kind fairy costume desired. 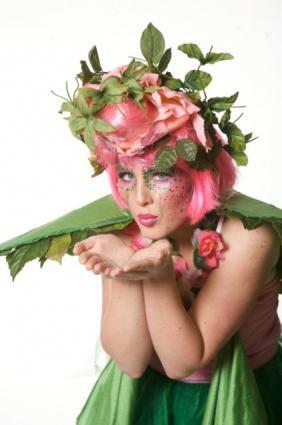 Gardenfairy is a company that makes fairy costumes for children in sizes one through six. The costumes are custom made, so the customer is able to choose the colors, as well as the style. The company also creates fairy wands to match. Many other fairy-related products are also available for sale. Anyone needing a fairy costume for a young girl can find it on this website, along with matching fairy accessories, such as wings and wands. The concept of fairies is often a favorite among young girls. Because fairies are typically beautiful, have sparkly wings, and have pretty-colored clothing, girls often go crazy for them. They frequently want to read books about fairies, decorate their bedrooms in a fairy theme, and they also want to own a costume. Fairy costumes are not necessarily worn by young girls only on Halloween. Girls who love fairies often beg their parents to allow them to wear their fairy clothing quite frequently.